We knew Samsung's latest entry to the Galaxy Note series was getting an AT&T LTE version, and today the carrier has released more detailed information about its launch. 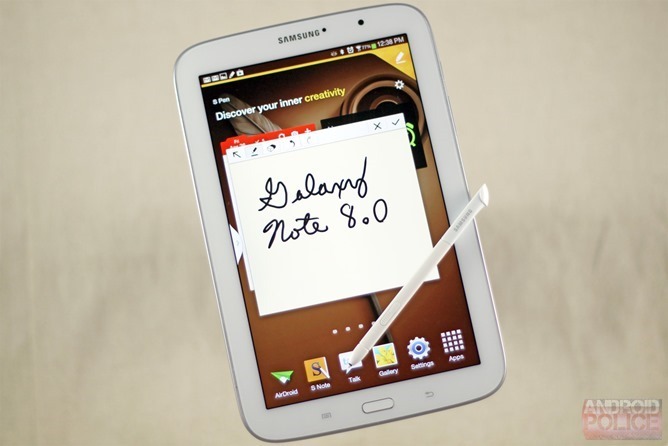 Those of you that want to take your notation on the go can pick up a Galaxy Note 8.0 On June 21st (this Friday) for $399.99, with a two-year contract. That's pretty pricey, especially after other carriers have moved towards no-contract pricing for tablets - it's just as expensive as the commitment-free WiFi version. AT&T hasn't said how much an off-contract Note 8.0 will cost. But that's not your only option. As they've done with a few manufacturer-specific phone and tablet combos before, you can also pick up the Galaxy Note 8.0 at a significant discount if you're also buying a Samsung smartphone. Purchase a Galaxy S4, a shiny new Galaxy S4 Active, or Galaxy Note 2 on a new or extended plan, and you can get the Note 8.0 for $199.99. For the very few wireless customers who want some combination of these devices, it's a pretty good deal. If you don't, well, the WiFi version of the tablet seems to be getting some pretty significant discounts already. AT&T's combined deal isn't live yet, but it should pop up on the Tablet Packages page on Friday.